Kessler & Keirnan is a boutique, woman-owned law firm providing clients with comprehensive services relating to residential and commercial real estate. Our lawyers have decades of experience with a wide array of purchases and sales, commercial lease negotiations, and other related real estate transactions. Representation in all facets of the real estate closing process is a particular strength of the firm. In addition to conventional closings, we have closed thousands of Real Estate Owned (REO) properties throughout the state of Illinois for a variety of lenders, servicers, and outsourcers. As title company agents, we offer a full range of title examination and clearance services during the closing process. We also have extensive experience in construction law. Our services include contract preparation and negotiation, contract administration, and claims resolution on projects both large and small. 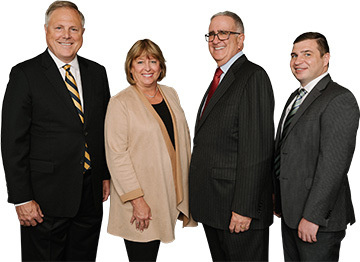 Our team is dedicated to providing clients with responsive, cost-efficient and effective representation. We invite you to learn more about why you should choose us.